Winchester Animal Hospital was established in the late 1940’s. Dr. Kim and Marietta Walls acquired the practice in May of 1992. 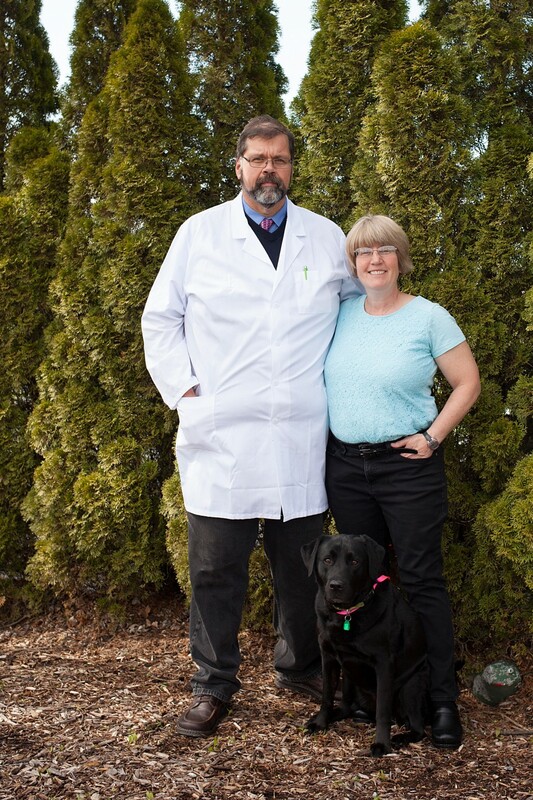 For over 70 years, Winchester Animal Hospital has long standing history within the community that is focused on providing quality veterinary care that focuses on pet health, education on animal care, and preventative medicine. Dr. Kim and Marietta Walls have helped the hospital grow into an AAHA certified facility that provides a high standard of animal care. The American Animal Hospital Association, or AAHA, only provides memberships to hospitals that provide the highest standards of care to their patients. AAHA certified hospitals are put thru rigorous inspection processes and expected to pass periodic reviews on standards of care in order to maintain their membership. As an AAHA certified hospital, it is our goal to provide quality medical care, to conduct our practice of medicine and maintain our facility with high standards of excellence, and to meet the public needs as they relate to small animal medicine. 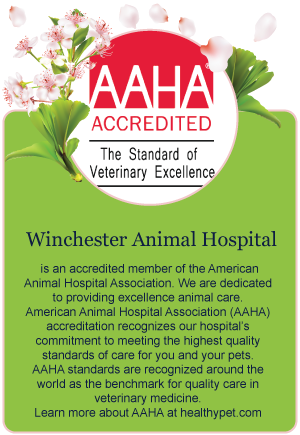 Winchester Animal Hospital has been a proud AAHA member since 1991. WAH offers a full range of services to small companion animals; including dogs, cats, and exotic animals. 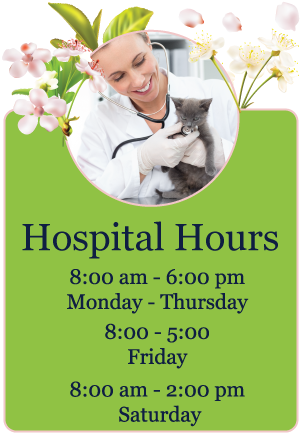 We are equipped to provide quality veterinary care for our patients through routine office visits, vaccinations, preventative medicine, nutrition counseling, senior wellness exams, laboratory diagnostics, radiology, ultrasonography, dentistry, routine surgeries, acupuncture, and laser therapy. 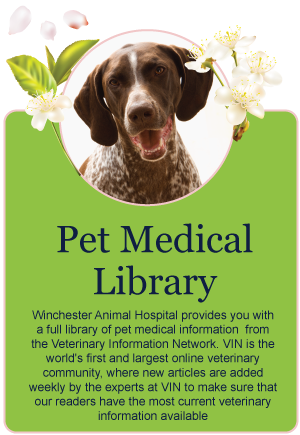 Winchester Animal Hospital prides itself on its long standing tradition of quality animal care in a community that also prides itself on its rich history. Please feel free to call us and we will gladly answer any questions you may have about our hospital, or stop in and we would be glad to give you a tour.